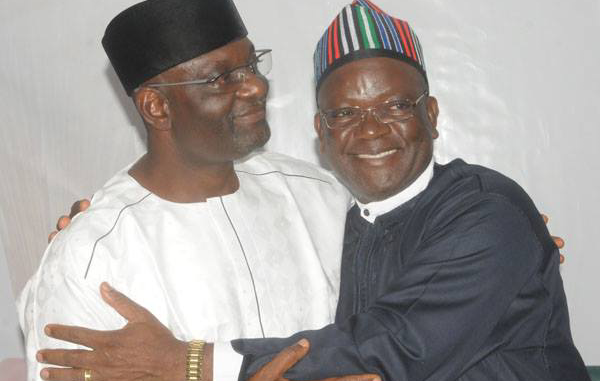 BENUE STATE: OUR FUTURE, OUR COLLECTIVE VISION: A CONTRAST OR SIMILITUDE? “Today is celebration of yesterday, tomorrow is a mystery and the present is a gift…,” goes a saying by Eleanor Roosevelt. Benue State, our dear state, since its creation in 1976, has undergone series of transformation under the military and civilian administrations. Notable developmental transformation was carried out during the late Governor Aper Aku, whose legacies we still enjoy today. 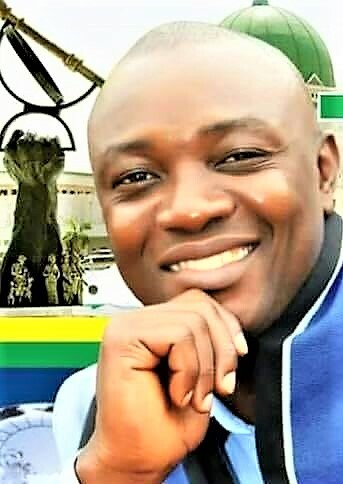 Successive administrations tried in their own ways, but have not equaled the tremendous achievements of late Governor Aper Aku until now that Governor Samuel Ortom is making frantic efforts to step into the shoes of late Aper Aku. Benue State is naturally endowed with both human and material resources capable of making her enviable in terms of development in infrastructure and human capacity building. Unfortunately however, Benue State is among the least developed and backward states in Nigeria; why, because the political class either lacked the will power to develop the state or were mirrored by greed or personal aggrandizement to the detriment of the general wellbeing of the state. Benue is an agrarian state, hence the Food Basket of the Nation. Minerals like limestone, among others, abound in the state to attract investors into the state. In the area of human resources, the state has produced so many academics in various fields of human endeavours such as engineering, medicine, management, etc, to mention but a few. All these are supposed to make the state great and self-supporting in terms of economic and financial resourcefulness. Unfortunately however, the state is completely dependent on allocations from the Federation Account. The question one is faced, without an answer is, why is Benue State remaining static in terms of infrastructural development and the political class continues to swim in affluence? Benue state under the administration of Governor Gabriel Suswam shows that in the early days of his administration, the governor and his team came up with a slogan, “Our Benue, Our Future” with the promise of repositioning and re-engineering the state for greatness through infrastructural development. This, the governor started very well by giving Makurdi town, the state capital, Gboko, Kastinsa-Ala and Otukpo a whitewashed face lift by rehabilitating some roads in the above mentioned areas (all the rehabilited roads have gone bad and are dotted with potholes). It was in this wise that Suswam was nicknamed, Mr. Infrastructure. His first four years in office was characterised by publicised infrastructural development mainly in the area of township roads construction without commensurate human capacity building, even though resources for that purpose accrued to the state via Sure-P, MDGs and petroleum windfalls. The last four years of Suswam administration was characterised by post-election litigations to the detriment of the overall development of the state. The heavy burden of several litigations, greed and personal aggrandisement of those in authority plunged the state into financial dungeon. In spite of the above, the privileged few enjoyed the booties with reckless abandon, thugs and gangsters unleashed terror on the hapless citizenry with impunity. The ordinary man was at the receiving end of the bad administration, public schools were closed down due to prolonged strikes, staff salaries were short paid in this manner: 10%, 50% and finally 100% leading to about five months arrears of unpaid salaries. 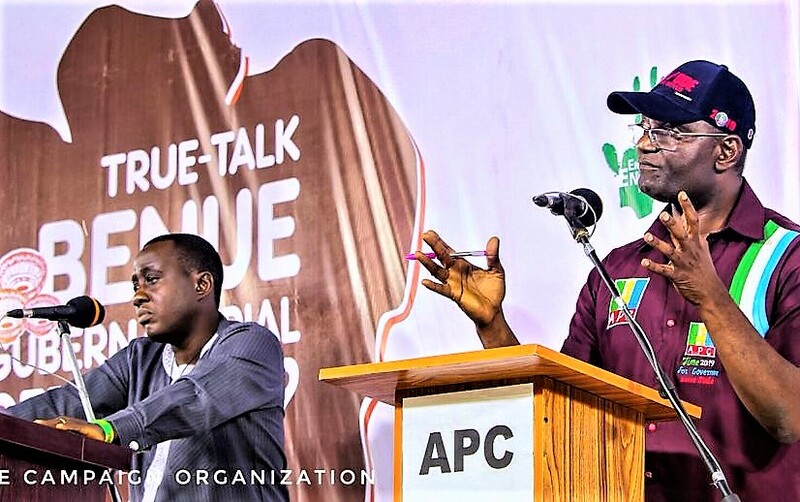 The ordinary man in the state cried out for a change, change from act of impunity to administration based on the fear of God, change from inequality to equality, and change from thuggery and gangsterism to a peaceful, orderly and lawful society. The change we need is a positive change where the leaders and the led can come together and reason for the betterment of our dear state. The last four years of Suswam-led administration completely eroded the policy initiatives that was anchored on “Our Benue, Our Future” and turned it to “My Benue, My Future” for them that were in power. “Call unto me and I will answer thee, said the Lord of hosts…” Jer. 33:3. Benue people cried to God, they turned away from their evil ways, they cried in the streets, churches, mosques, offices and in their homes for God’s intervention through prayers, fasting and in thanksgiving services and God heard and has come down to their rescue by sending a God-fearing servant, Dr. Samuel Ortom, to be Governor of the state. From a very humble background, a motor park tout, who by dint of hard work and perseverance, Ortom has risen to the pinnacle of power and affluence. Today, Benue State is privileged to have someone that is God-fearing to be the governor, what are his policy initiatives? Governor Ortom, soon as the election victory was announced in his favour in April 2015, constituted a committee of wise men to come up of with an administrative agenda under an anchorage of Our Collective Vision for Greater Benue. The policy directive is aimed at moving the state forward through agriculture and agricultural based industrialisation; skilled-based education, youth and gender development, security and good governance. The Ortom-led administration is poised for the change people of the state are desirous of, eradication of thugs, gangsters and terrorism in the state. This, the governor started on a very good note by declaring amnesty for criminals who are willing to surrender arms and ammunitions illegally held by them. Consequent upon the above, the most dreaded gang leader of a group on a wanted list of the Security Agents surrendered 84 assorted rifles and ammunitions to the state government. This I believe has helped to stem the wave of interstate border crimes and banditry in recent times. The peace meeting the governor had with the Fulani herdsmen and Benue farmers also helped to reduce clashes between Fulani herdsmen and Benue farmers thereby restoring peace and order to the hitherto troubled state. Activities of political thugs and thugery related crimes have reduced tremendously in the state. The recent tour of Governor Ortom to the U.S. enabled him to discuss and negotiate with Benue indigenes in the Diaspora to come back home and invest in the state for enhanced development. The governor recently undertook inspection of moribund industries, particularly, those started by late governor Aper Aku administration such as the Makurdi Sheraton Hotel, Taraku Oil Mill, Benue Burnt Bricks, Food Processing Company, Ikogen Cattle Ranch, among others not mentioned here, with a view to revamping them. The governor has promised to run a transparent government, free from corruption and act of impunity and to be opened and accountable to all. 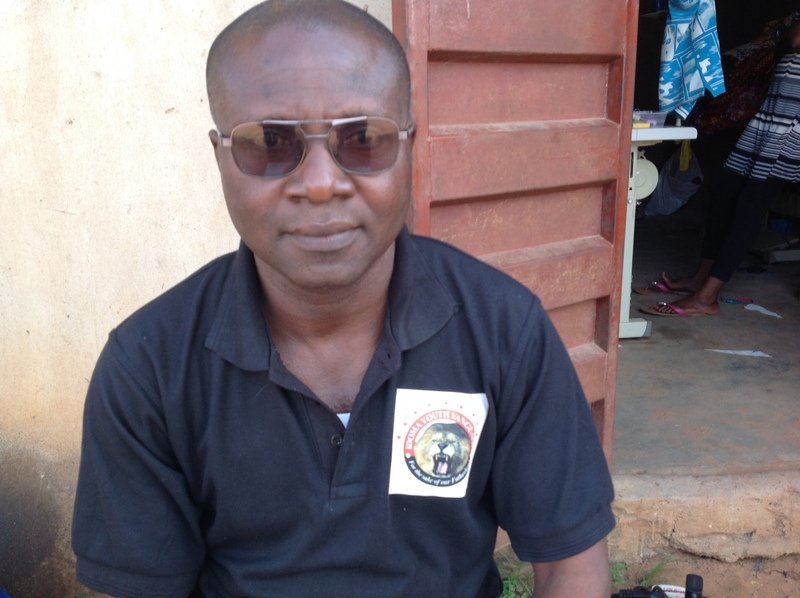 This, he has started very well by making public all allocations so far received from the federation account and how they monies have been disbursed. The first 100 days in office of Governor Ortom-led administration has recorded tremendous achievements in the following areas despite inheriting a deficit treasury. 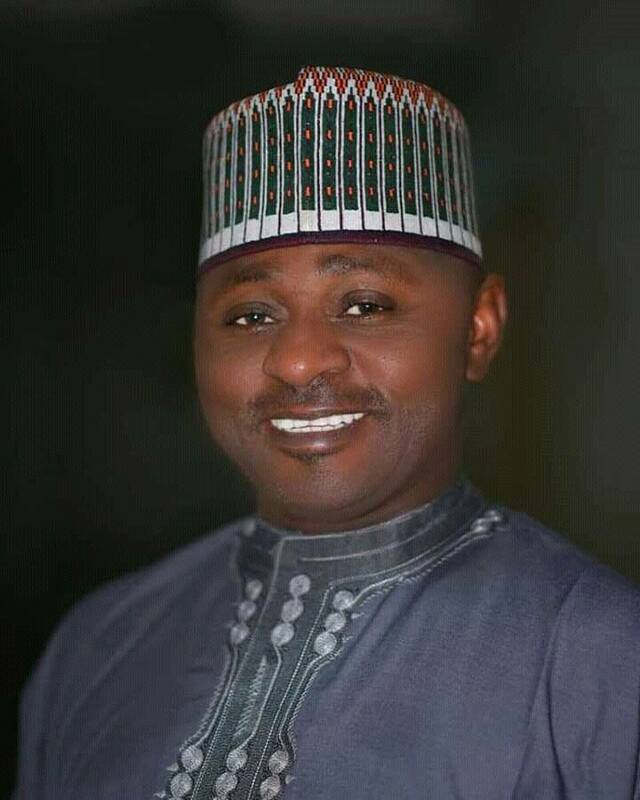 Security through amnesty programme has now helped to restore peace gradually to the state; payment of salaries and allowances in full to Benue workers; settlement of outstanding issues leading to the re-opening of Benue State University (BSU); and accreditation of the University’s Medical School after 12 years of non-graduation of students. Also, the renovation of the school of Nursing and Midwifery, Makurdi, preparatory to reaccreditation is in progress; procurement of fertilizer at highly subsidized rate to Benue farmers; attraction of local and international investors to Benue State to do business; steps have been taken to establish Benue State Information Technology Development Agency (BITDA); negotiations are on top gear to clear the backlog of salaries and allowances of Benue workers; completion of Otobi and Kastina-Ala water works; and efforts are on to increase the internally generated revenue of the state through total overhaul of Benue State Internal Revenue Service (BIRS). The above mentioned achievements, among others, of Governor Ortom-led administration during his first 100 days in office are pointers to the fact that the change people cried for is gradually materialised. The question now is, what is the hope of the common man in Governor Ortom-led administration? From the records so far established within the first 100 days in office, despite numerous distractions occasioned by post election litigations against the governor, there is hope and ample opportunities opened for the common man. Benue farmers are getting real and unadulterated fertilizer at a subsidised rate and on time. This is in contrast with the adulterated and sand filled fertilizer packs supplied by the immediate past administration, thereby frustrating the efforts of farmers in the state. 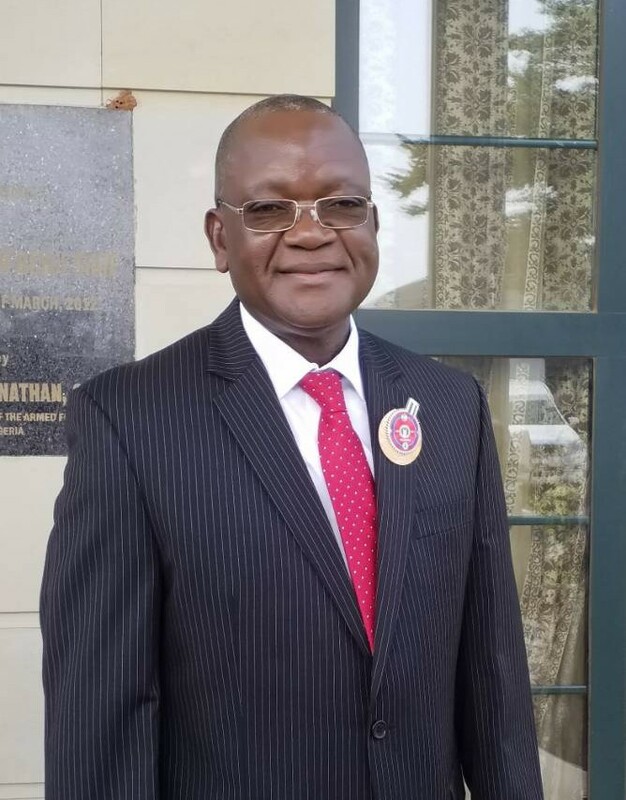 Students of Medical School of Benue State University are hopeful of writing their final and qualifying examinations in December 2015 preparatory to their graduation after 12 years of uncertainty. With the award of contract for the construction of Makurdi to Gbajimba road, people of Guma Local Government Area are hopeful of a linkage with the state capital which will in turn boost their economic activities. The fear of the Lord is the beginning of wisdom. Governor Ortom has chosen to govern with the fear of God and that he will be guided aright, meaning that the activities of sycophants, praise singers and impunity will not be condoned in his administration. There is, therefore, hope for the generations coming behind as envisaged in his administration’s blueprint: “Our Collective Vision for a Greater Benue”. At the wake of economic recession in Nigeria, many professionals in business, academia, science and technology, medicine, engineering, etc, all left the country for greener pasture in foreign countries. The Governor Ortom-led administration has taken bold steps to synergize with Benue indigenes in the Diaspora by creating a conducive environment to enable them come back home to establish and do business so as to contribute to the socio-economic development of the state. Benue State is now ripe socially, politically, security wise and economically under Governor Ortom-led administration. Rush now and preserve it from decadence; this is a call to all and sundry. Recently, in an independent press interview granted some journalists, Commissioner for Information and Orientation, Hon. 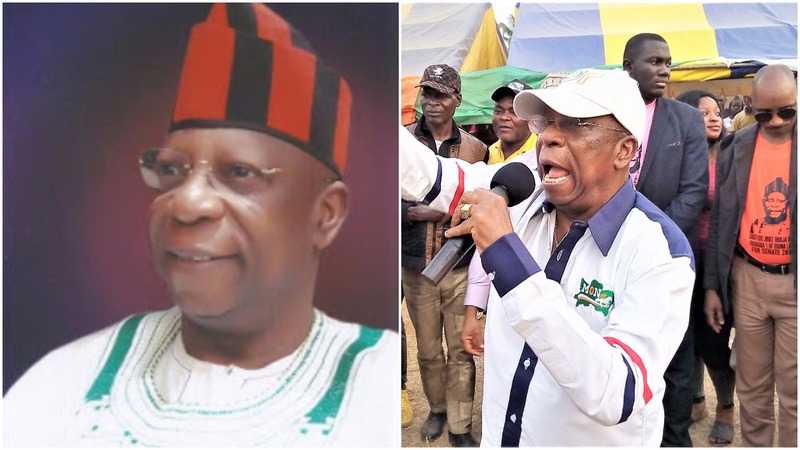 Odeh Ageh, expressed gratitude to God and congratulated Governor Ortom for emerging victorious at the Benue State governorship election Tribunal. Hon. Ageh bared his mind and went down memory lane on post election litigations in Benue state and the ugly consequences such litigations have had on the development of the state. 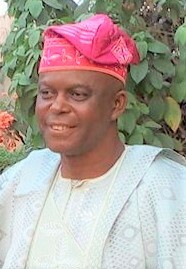 He then called for the establishment of alternative post election dispute resolution in the state. In 1983, late Governor Aper Aku was dragged to the Tribunal which lasted until the Military took over. In 2003, Governor George Akume was dragged into the Tribunal and in 2007 and 2011, Governor Gabriel Suswam was as well dragged to the Tribunal, from there up to the Supreme Court. While I agree with the litigants to seek for justice, it is equally morally, economically and socially wise to consider the cost implications on the socio-economic development of our dear state, it is regrettable to mention here that the state recorded the highest post election litigations in Nigeria. Yet, the state is among the most backward states in terms of infrastructural development. The most painful aspects of the post election litigations is the fact that our people or political leaders usually hire lawyers from the South West and pay heavily for their services thereby impoverishing the state. 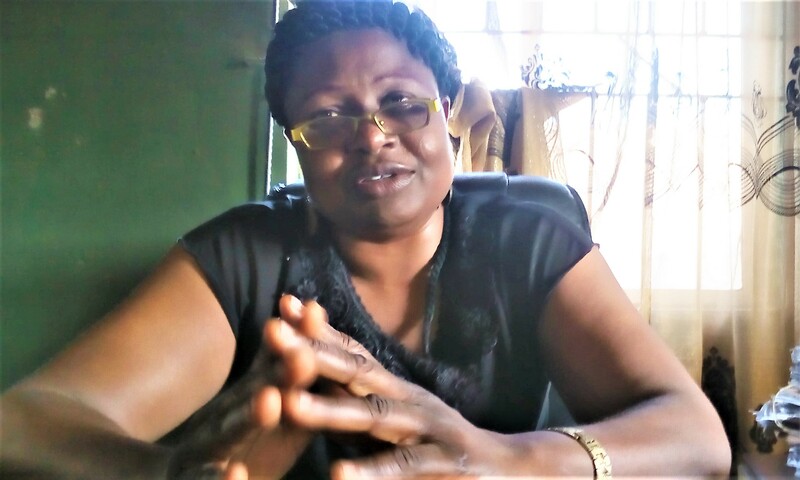 The 2015 general elections were adjudged the freest in Benue state. Ortom’s PDP rival Mr. Terhemen Tarzor, challenged his election at the Tribunal and lost. Ordinarily, if he had any good intentions for the development of the state he wanted to govern, with the judgement of the Tribunal, he should not go on appeal no matter the pressure on him to do so. This brings to mind the ugly incidences of the first and second Republic cases between J.S Takar and Godwin Dabo, the two Tiv brothers who tried to bring each other down politically through petitions and counter petitions culminating into a popular slogan “if you Takar me, I shall Dabo you”, two brothers drawing political sward against each other! Post election litigation does not only affect the state of mind of the defendant(s), it also slows down the development process and business of effective governance and act as a drain on the resources of the state. This is not to say that one should not seek for justice, however, it is noteworthy to realise that the people, including your Lawyers, pushing you to go on and on with such cases they know very well that you will not win are rather helping you to remain helpless. The political cincum-crancum in Benue State occasioned by incessant post election litigations is causing the proverbial political plane of Benue people to hover over the Bermuda Triangle heading to a catastrophic end. My appeal, like Hon. Ageh, rightly put is, Governor Ortom and Mr. Tarzor are brothers, settle your differences out of court process and give peace a chance for Benue State to move on. The price of peace is to let go and he who pays it lives to enjoy the everlasting legacy of peace, honour and respect. Benue elder statesmen, traditional rulers, religious leaders with patriotic zeal from the three senatorial zones A,B and C should call the self-seeking politicians, lawyers, and supporters of the aggrieved politicians to order by appealing to their senses of good judgements that there is dignity, honor and respect to let go of tussles and embrace peace and unity. This, I believe will minimise cost of post election litigations and help develop the state faster. In conclusion, therefore, Benue State will not continue to remain a child forever; time has now come for her to grow to adulthood in terms of socio-economic development. I want to put it to you, readers that it is our collective efforts that will make Benue State great. Having said that, Benue State of “…Our Future” and now “…Our Collective Vision…” is it a contrast or a similitude?